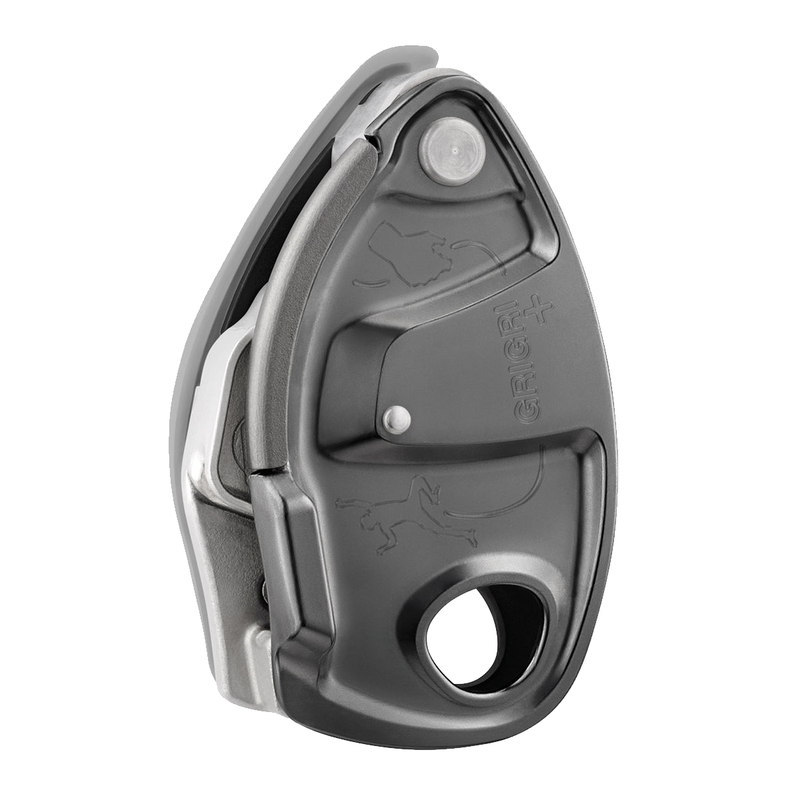 The GriGri + is Petzl's latest version of the world's most popular assisted-braking device, now designed to be easier and safer to use by beginners. The GriGri + now features an anti-panic handle that, if the handle is let go or pulled too far back, will brake and stop the descent automatically, making it more ideal for the novice user who isn't familiar with GriGri technique. A patented switch has now been introduced to allow the belayer to switch between lead belaying and top roping modes for more comfortable and secure top roping, and the useable rope width has increased to make the device compatible with all single rope sizes. 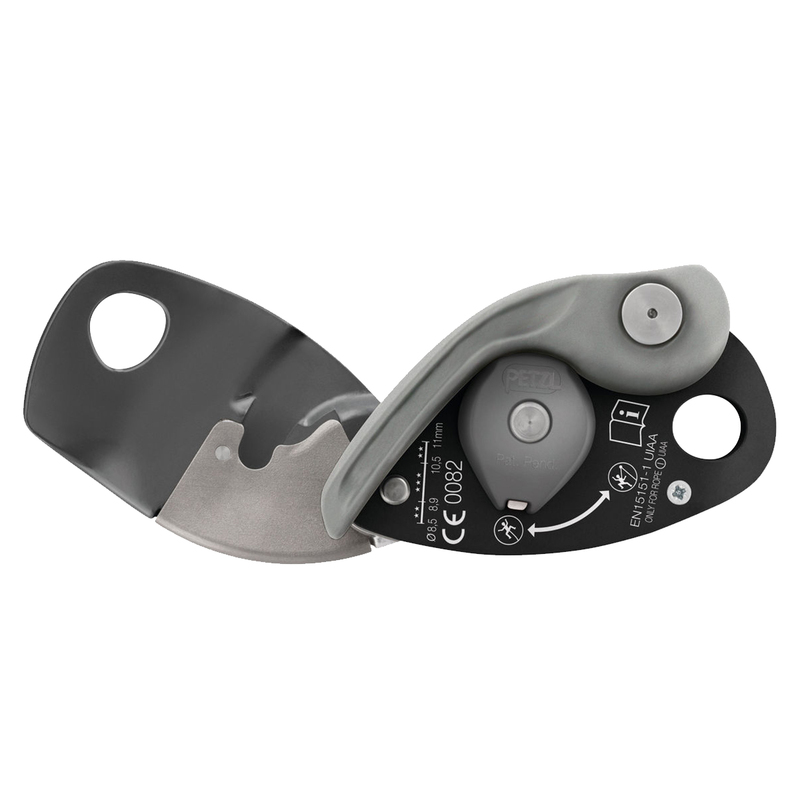 With a focus on safety and security, the Petzl GriGri + is suited to both beginners who are either looking for an easy-to-use assisted-braking device or for a stepping stone into proper GriGri technique. It's also ideal for groups, such as rental programs, schools, and climbing gyms, who are in need of a more intuitive assisted-braking device that reduces the chance of human error. The extra safety features convinced me to purchase it. I had lots of experience with the Grigri 2, but still decided to get this one, mostly because I climb with coleagues that are less experienced. Great device, smooth operating with my 9.8 rope, but most importantly, a reliable piece of gear. Good job, Petzl. Great gear! It combines reliability and ease of operation. Even my 10-year- old daughter can easily cope with the role of belayer using this product. Out of competition! I see no reason to not get the GRIGRI+, especially if you are starting out. The additional safety features are great. Moving to a GriGri from a non-assisted braking device is something I debated for a while, being worried that the pros of the grigri wouldn't be worth the cost and learning curve. Having now used it for a while, I can say with confidence it's absolutely worth the cost, and the learning curve is surprisingly small! The best way to approach it is to use it as a normal belay device, with the assisted-breaking being there for peace of mind should the worst happen. The learning curve is smaller than expected, even when using a large diameter rope (10mm in my case), and the resources provided by petzl meant that after one session I felt perfectly comfortable giving out slack with the cam held down in a safe manner. I definitely recommend this to climbers already proficient in belaying - but I'd suggest beginners should still learn on a non-assisted device to perfect the motions and the technique. 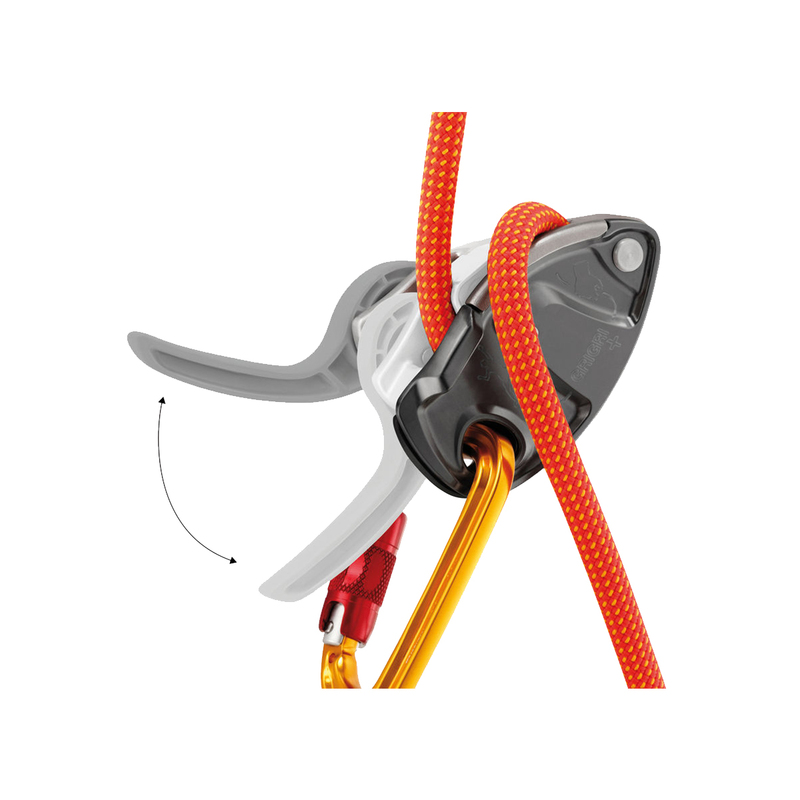 The GriGri+ more than pays for itself in the confidence and safety it provides, and the new switch between top-rope and lead mode is very useful! Lowering is super easy (but I do find myself needing to override the safety stop if using a fat, furry gym rope, or with lots of rope drag on lead). The only downsides really are that some people get lazy with technique, and that it provides a harder catch than a normal ATC - both of which can be avoided by slight changes in belaying. All in all, I'd definitely recommend the GriGri+! Super useful, easy to use and confidence inspiring. This is the belay device that you want. 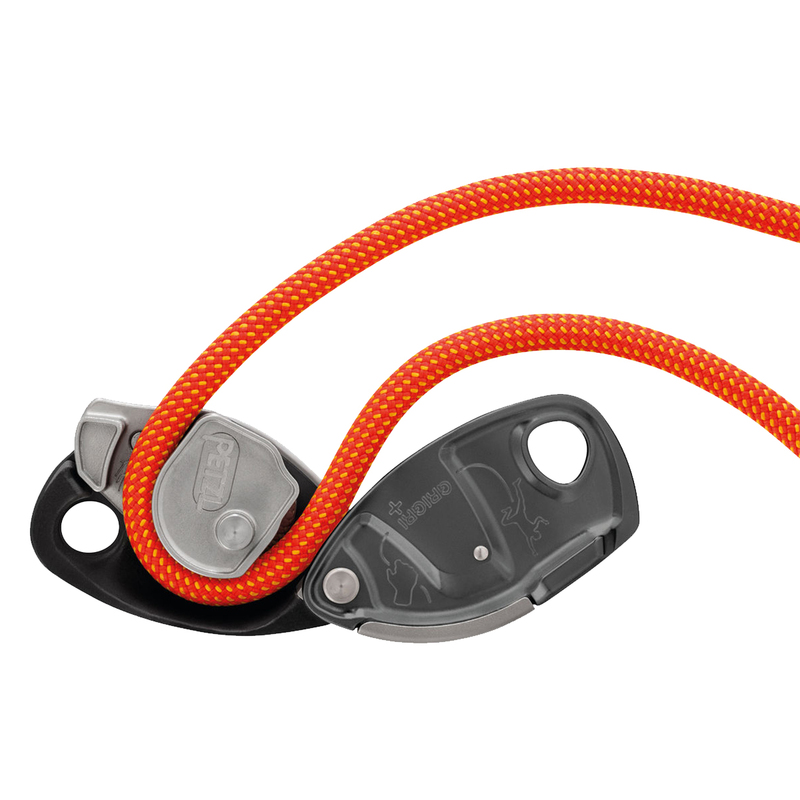 All the great performance of the grigri 2 just improved, and at a reasonable price from here. Reliable and predictable in use. Light and useful. It seems to be very reliable and predictable in use. Taking slack and feeding rope is rather easy and smooth. Although as a lefty had to take some time to get used to using it as it's predominantly designed for use with right hand on the dead line of the rope. This does not matter when top roping. is it the best belay device? This is my first Gri Gri and it has given me confidence in climbing with less experienced people. I also use it for lead climbing for which it does the perfect job. Great over all! I love this one and I rekomended this to all my friends so now they going to get one for them self. If you have the thoughts to but a Grigri2 you should put the extra money in and get the Grigri+. You have then anti panic works really good and you can switch between trad climbing and top rope!